- Widely used to carry drinking water by students and professionals. 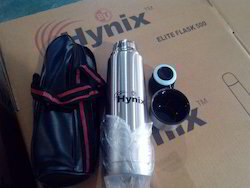 The stainless steel water bottle can be used for holding water, juices, protein shakes and other liquids. This product helps in holding fluids safe and is equipped with an easy to open cap and has a wide mouth for easy filling and cleaning of the bottle. Inferable from our monstrous capacity in this work circle, we have delivered an immeasurable assortment of SS Water Flask Bottle. Available in different sizes, shapes and designs. They are ideal use in hotel, restaurants, hospitals and home. Suitable for Gifts and Business Promotional Gifts. All spare parts available on Chargeable basis. We are looking for the queries from Hyderabad, Andhra Pradesh. 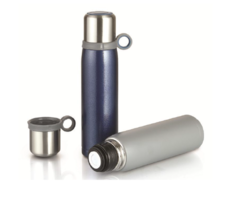 We are a leading manufacturer and supplier of Stainless Steel Water Flasks.we deal in good quality product.we are involved in offering a high quality range of Stainless Steel Water Flasks. Backed by rich industry experiences; we are highly engaged in trading a premium quality range of SS Water Flask.